Middle Creek Elementary School participates in the Go Play Save coupon book fundraiser. Coupon books generally go on sale within the first month of school. This is a great fundraiser for MCES as 50% of the book sales are returned to the school. Coupon books are sent home with your child along with selling instructions and a collection envelope. There are two book options - the traditional paper book or a mobile version! As an added bonus, purchasers will also be able to order and pay for books online. 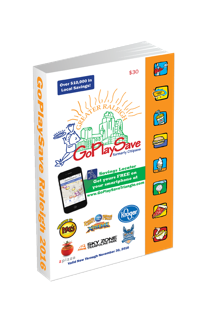 Thanks for the continued support of Go Play Save!